Halloween is the time of year when we all become a bit more inclined to get scared. Movies are a way to get that adrenaline rush we're all seeking, but for some of us more daring thrill-seekers, sitting in a dark room in front of a screen just doesn't cut it. If you're looking to get a real scare this October, LA is the place to be and we have a list of the best haunted houses in Los Angeles. The tamest of our haunted house options, we start by taking a look at the Los Angeles Haunted Hayride. It has been called "LA's most buzzed about attraction;" and combines the comfort of riding in a tractor with the fear-factor of on-foot navigation. This year's clown theme is sure to get your hair to stand up on end, and walking through a corn maze at night can only make you feel more unsettled. 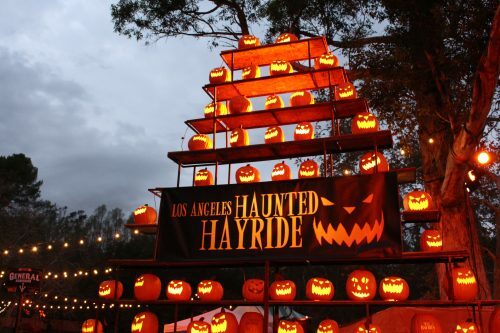 The Hayride is located in Griffith Park alongside some other spooky and fun attractions that are sure to peak your interest. Tickets for just the Hayride are selling for $35; however, you may consider purchasing a General Admission ticket for $44 or VIP for $60 which will grant you access to the rest of the park's attractions as well. Described as a long and terrifying experience, the Backwoods Maze Yard Haunt is a must-go-to this year for frightful delight. Around every corner of this maze, you'll find intriguing sets and horrifying creatures. 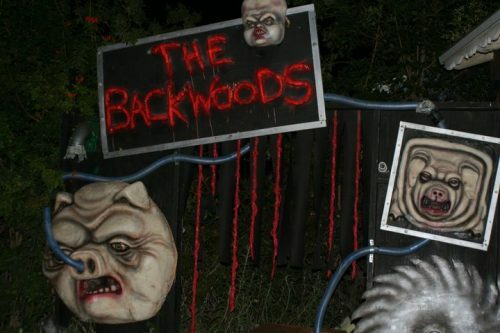 Don't expect your average haunted house when you visit the Backwoods Maze. The staff of this haunted attraction will give you a very interactive experience. Scaring patrons since 2003, these guys definitely know what they're doing. This year's futuristic themed maze will be sure to electrify. The best part about this Halloween treasure; it's FREE! They only accept donations to offset their expenses. 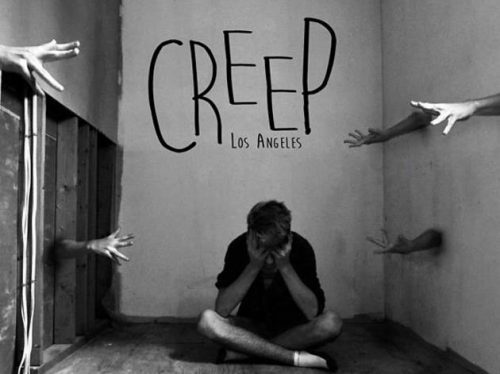 Creep is a walk-through haunted show. Groups of eight are led through a one-hour, multi-sensory, immersive experience that was created in tandem with Just Fix It Productions. It is based off of the Amazon Prime exclusive series Lore. What began as a popular horror-themed podcast has inspired a six-episode series streaming on October 13th. The attraction is like a live portrayal of different concepts within the show; folktales and fantastical creatures of the night (werewolves, vampires, séances, and so on). This attraction promises to scare you, intrigue you, and leave you wanting more. Just make sure to sign up for your own Amazon Prime account to fill that void. 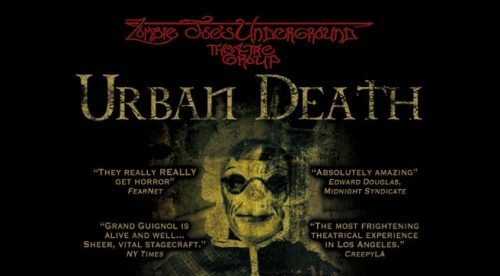 The Urban Death Tour of Terror combines the shock and surprise of a walk-through maze and all the excitement of a show and takes place at Zombie Joe’s Underground Theatre. Depictions of horror are meant to astound, horrify, and cause you to laugh at the crazy and disturbing scares you will witness here. The Tour of Terror promises new surprises every year to keep guests returning for more Halloween thrills. Just in case the idea of witnessing horrific episodes before your eyes didn't creep you out enough, this Tour includes no dialogue; making everything about this attraction equally intriguing and disturbing. 10.5 - 31st (8pm - 11:30pm), times vary see schedule. Shrouded in mystery and without a doubt our most intense attraction listed, ALONE is absolutely NOT for the faint of heart. There is very limited information offered about this attraction. The location, ticket prices, and even it's opening date (only one night in October) is all unknown until information is formally disclosed to exclusive members that signed up either through the ALONE Facebook page, or the ALONE EXPERIENCE website. One thing to note about this website is how totally cool and nontraditional it's set up is. As previously mentioned, those who wish to experience what ALONE has to offer can sign up for information by asking the site a series of questions and then being asked for your email address. Spooked already? I'm not finished yet. As you may have guessed, this attraction requires you to enter alone. No friends, no cell phones, and no immediate connection to the outside world. You are required to fully immerse yourself in the horrifying thirty minutes it takes to navigate the maze. You must also sign a waiver that allows all actors to touch, move, and in some cases forcefully handle you throughout your time there. Though information is limited, I can offer you some insight through blogger Justin Caffier who wrote about his experience with ALONE, on the Theme Park Adventure page promoting their 2015 event. Caffier goes on to say that he was pulled back with a bag placed over his face; played with a girl dressed like Samara from The Ring; and danced around a feathered room with a too-rough mistress who threw him to the floor. His post proves that you must expect the unexpected. Creative and intelligent, the creators of ALONE are sure not to disappoint. For those of you who are daring and brave enough to take on the challenge of entering such an enveloping dark world by yourself, I implore you to sign up for their newsletter. May your darkest desires come to light. Find out for yourself; click below. Hopefully this LA Haunted House guide will help you get your fill of thrills and scares this Halloween season! Don't forget to check out our bucket list with more events happening this season. Happy Haunting!